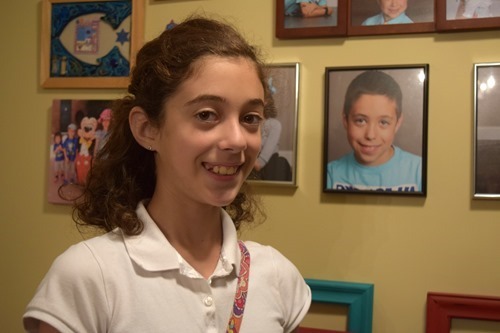 Gabbie has had pierced ears since her 10th birthday, when I took her to have her ears pierced for the second time. 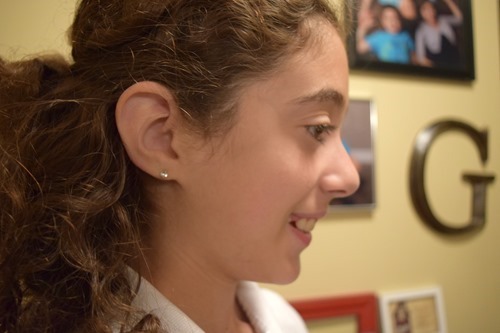 She had them pierced when she was 7, but unfortunately when she removed her earrings for a matter of a few hours, her piercings closed up, even though it was after the recommended 6 weeks of wear. Because of that experience, Gabbie is more reluctant to change her earrings, and generally wears the same pair all the time. 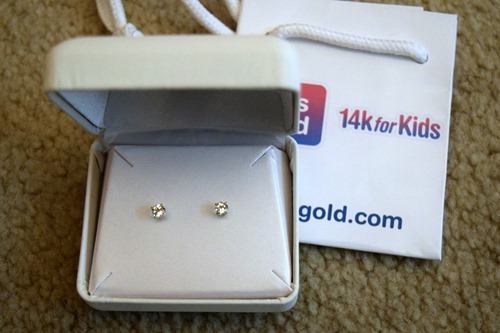 However, she was excited to try the birthstone earrings we received from KidsGold – 14k for Kids, and quickly pointed out that the earrings include a notch on the posts that make it difficult for the earrings to pull out accidentally. The earrings come in a jewelry box and include a gift bag as well. Lucky Gabbie has an April birthday and therefore her birthstone is the diamond! 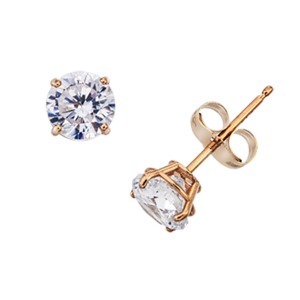 These earrings are white topaz, which resembles diamonds while being age appropriate! Recommended for children 5 years and older, these earrings are perfect for kids ages 10-16 and would make a lovely birthday or holiday gift. They are available for every month’s birthstone and are currently 30% off with free shipping. I love that they are real gold, because I know my skin reacts to certain metals and I do not want that to happen to Gabbie! Get 20% Off Store-Wide from Nov.1 – Dec. 31, 2016 with the coupon code USFG20! 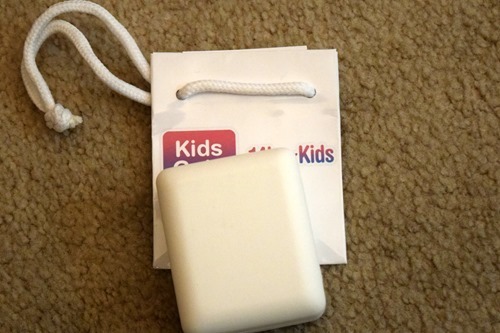 Do you have little girls with pierced ears? What are their birthstones?